Bernardo Silva witnessed first hand the rise of Kylian Mbappe at Monaco. Together, the pair won France’s Ligue 1 title and reached the Champions League semi-finals in 2017 before moves to Manchester City and Paris Saint-Germain, respectively, followed. Having led his country to World Cup glory in the summer, Frenchman Mbappe is now a strong contender for this year’s coveted Ballon d’Or award. But City midfielder Bernardo believes he is now playing with two talented young players who could rival Mbappe, 20 next month, for such individual honours in the future. Raheem Sterling, 23, and 22-year-old Leroy Sane are the wing wonders who are playing a key role in Manchester City’s bid to retain their Premier League title and increasing their reputation with every dazzling display. Bernardo told Sport360: “Kylian was a fantastic player for us at Monaco and now he’s doing very well for PSG, obviously for France as well and he won the World Cup with them. For Bernardo, the trio are similarly driven in their desire to succeed. Sterling – who inked a lucrative contract extension on Friday until 2023 – and Sane are flourishing under the tutelage of Pep Guardiola at City and, crucially, adding goals to their game as they showed with three between them in last weekend’s 6-1 league win over Southampton. Sterling claimed another in the 6-0 Champions League rout of Shakhtar Donetsk too, taking his tally to 30 goals and 24 assists in 60 games since the start of last season. Bernardo admits scoring is what has made Mbappe stand out, with the teenager notching 13 in 11 games so far this season. “When you are 18 or 19, you usually just want to enjoy the football, to dribble, but Kylian doesn’t have that mentality,” said the Portugal international. “He has that mentality to score goals which is not normal for his age and I think that’s what makes him a fantastic player. Not only does he want to be on the ball and have fun, but he wants to score goals and always knows which direction he wants to go. “That’s what makes him special. He has that drive and ambition. “But Raheem and Leroy have that too. I think they are better than they were last season and that’s what they need to do. City will hope that fine form continues on Sunday when they host neighbours Manchester United at Etihad Stadium. Last April’s meeting saw Jose Mourinho’s men claim a dramatic 3-2 win as Paul Pogba inspired a comeback from two-goals down. The result meant City had to wait to win the title. “It hurt a little bit because we wanted to win that game and the Premier League title against them on that day,” added Bernardo, who won a championship and League Cup in his debut campaign with City. “But it’s forgotten, it’s in the past. Now we just want to win on Sunday and get three more points which is the important thing. “I played two derbies last season, won one, lost one and it’s a special game, especially for the fans because it means so much for them. They feel it a lot and love this kind of game. 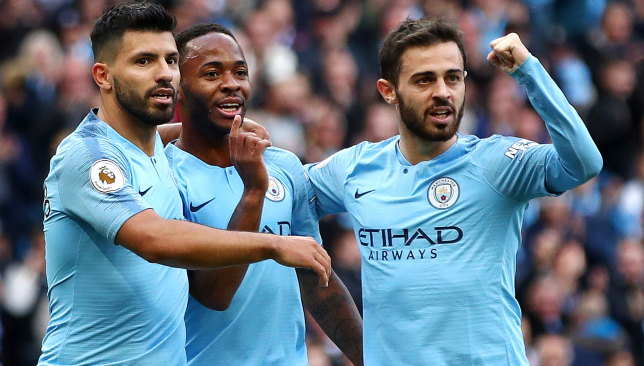 Bernardo and City, though, are looking beyond victory over United and eyeing another title triumph after their record-breaking feat of 100 points and 106 goals last season. Another target for the 24-year-old is surpassing the achievements of compatriot Cristiano Ronaldo, who won three Premier League titles during his six years at United. “When we went to the World Cup with the national team, he congratulated me then [on winning the title with City],” said Bernardo. “I just hope I can keep winning titles and titles. I think this team has the ambition and quality to do it and hopefully we will work very hard to win some more trophies this season and then next season and then the next season. “The secret is not only the quality of the players and the staff, but the ambition and desire of the players, We are all young and have this desire to do more. Raheem Sterling has signed a new contract committing him to Manchester City until 2023, the Premier League champions have announced. The 23-year-old England forward has been rewarded for his excellent form with an improved package – reportedly worth up to £300,000 per week – that extends his previous deal by three years. Sterling, who joined City from Liverpool in a deal worth a potential £49million in 2015, was an integral member of last season’s Premier League title-winning side and has begun the new campaign in fine style. 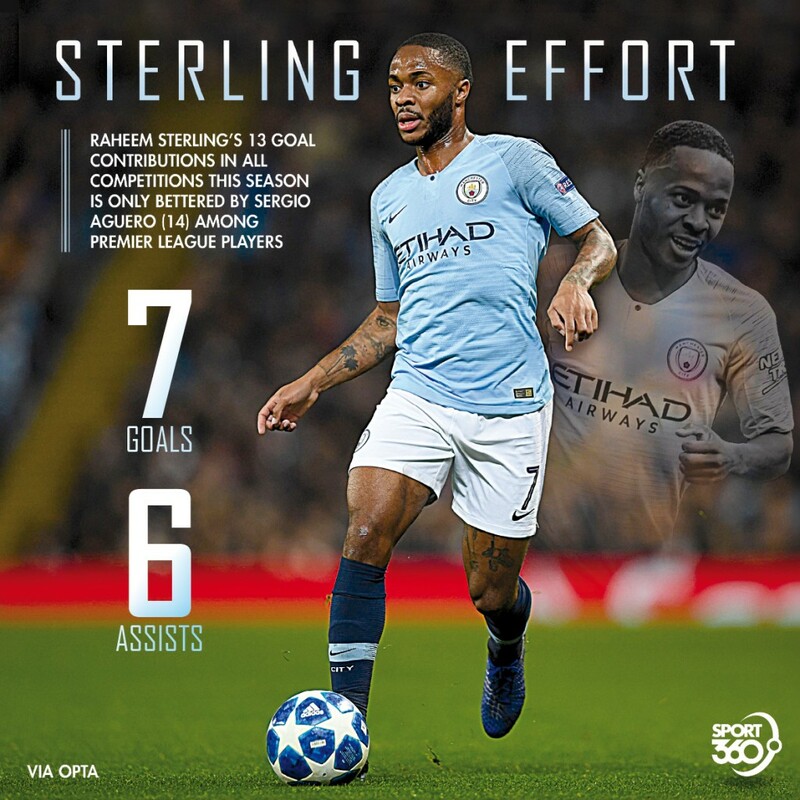 Sterling scored 23 goals in all competitions last term and has netted seven more for the club in the opening three months of the current season. He also scored two goals to help England to a memorable victory in Spain last month. Sterling said: “Every season you come in you want to do better than your previous season. You want to try and develop and get better. 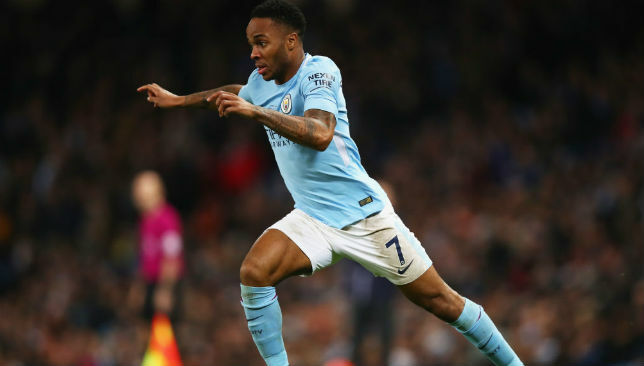 Contract talks between City and Sterling’s representatives had been going on for some time and there were reports of sticking points during the process. That led to speculation that Real Madrid had been alerted to his potential availability, but City were determined to retain the services of a player who has shone under the guidance of manager Pep Guardiola. Sterling was involved in a comical incident this week as he was awarded a freak penalty in City’s 6-0 Champions League win over Shakhtar Donetsk. Sterling had been shaping to shoot when he stubbed his toe and fell over. He was under no pressure from defenders at the time but the referee pointed to the spot. Sterling apologised afterwards and Guardiola admitted it should not have been a spot-kick but the incident continues to receive considerable attention. 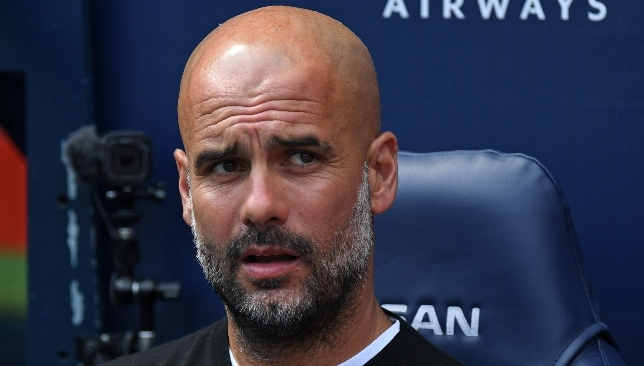 Speaking at a press conference to preview Sunday’s derby against Manchester United, Guardiola said: “We made an incredible performance against Shakhtar and all the notices are about what happened with Raheem.